Severe head injuries increase the risk of death in young adults. The risk remains for as long as 13 years from the day of injury. Suicides and fatal accidents are most common cause of death among TBI sufferers. Proper care should be taken to avoid head injuries of any kind. Traumatic brain injuries or TBI carry with them a significant risk of premature death for a long time since injury actually happened. Traumatic brain injuries can occur due to serious sport’s injuries, accidents, or any injury that causes a sudden, violent blow to the head. Studies have found a correlation between premature deaths in young adults and traumatic brain injuries. The most common reasons of premature death in TBI survivors were found out to be suicides and other injuries such as accidents and falls which turn out to be fatal. A research conducted on siblings revealed that people who have suffered from TBI at some point in their lives have more than 2.6% chance of premature death, than their siblings who have never been affected by any head injury. If the injury affects only one area of the brain, it is called focal injury. Diffuse injuries occur when the area is widespread. 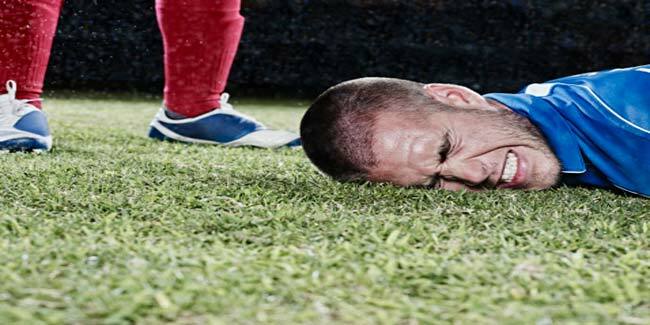 Certain injuries called primary injury have an immediate effect on brain, however secondary injuries can show effect after hours, days or even many weeks at times. The foremost reasons causing head injuries worldwide are vehicle crashes and falls. Head injuries are preventable in most of these accidents, if not all. Proper precautions must be taken to avoid head injuries. Before playing sports make sure that you wear recommended safety gear at all times. Extra precaution should be taken for sports such as bull riding, martial arts, pole vaulting, wrestling etc. where there is an increased probability of head injuries. Do not allow children to play in playgrounds which have hard surface. Take appropriate care before letting children play sports such as skating, riding bikes and skateboarding. Precaution must be taken before diving in water, whether it is a swimming pool, lake or ocean. Check the water for debris before jumping in. Falling/Jumping in water bodies with rocks underneath the water can cause serious trauma to head. Wear a seatbelt at all times when driving a vehicle. Remember to wear a helmet before driving any two-wheeler vehicles. Make sure that your home is clear of any hazards which may contribute to falls, especially if you have children in your home. Rugs, loose cords, toys or other stuff lying on the floor, can all lead to falling and head injuries. Install anti-slip tiles or use anti-slip tapes on a slippery surface, or a surface where a water spill is likely such as bathrooms, boundaries of a pool etc. How smoking affects your heart?